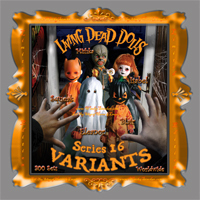 Living Dead Dolls Series 16 Variants Sixteen Trick or Treat Buy Online WackyStacker.com of Horror & Laughs! WELCOME TO THE LilToyShop.com....The Fun Has Just Begun! 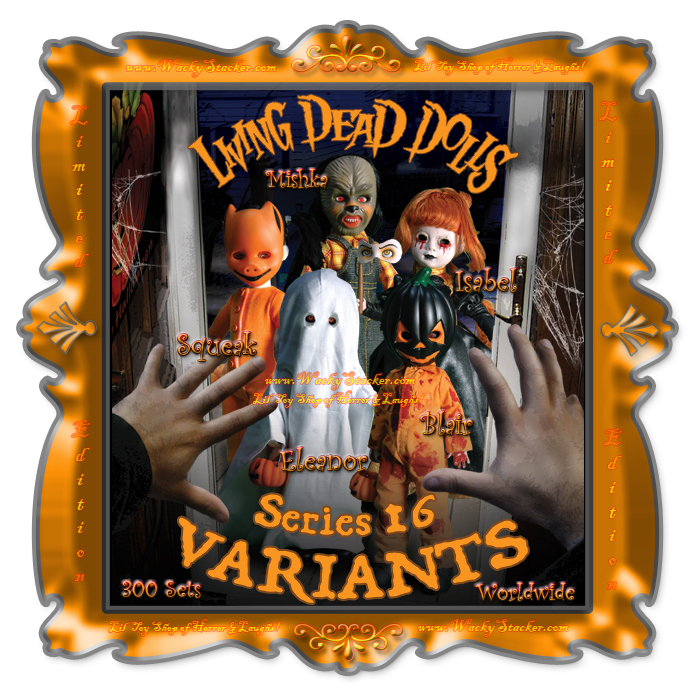 GUARANTEED MINT CONDITION Living Dead Dolls Series 16 variants are a highly limited edition series with only 300 sets worldwide. The Halloween-inspired theme of the regular LDD 16 assortment now features a black and orange color scheme and all the same great accessories and death certificates. A Halloween mask usually hides the sweet face of an innocent trick-or-treator, but in the world of the Living Dead Dolls, things are seldom what one expects.